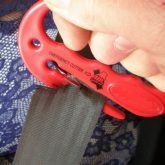 Seat Belt Cutters are used for emergency evacuation. Use them to release seat belts, harness straps and wheelchair restraints when necessary. 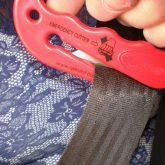 Seat Belt Cutters are used in emergency situations only, to release a seat belt, harness or wheelchair restraint where normal opening is not possible, or where in an emergency it is quicker to use the seat belt cutter to assist a more speedy exit of a passenger from the vehicle. 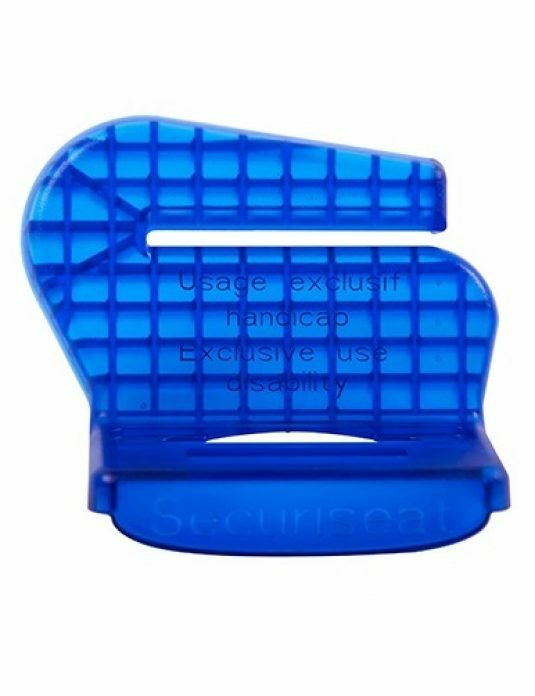 Keep your seat belt cutter in a safe place which is accessible only to bus staff. Bus staff should be aware of the location at all times and know how the seat belt cutter is to be used and under what circumstances. To Use: Place the flat webbing in the Blade entry and pull.